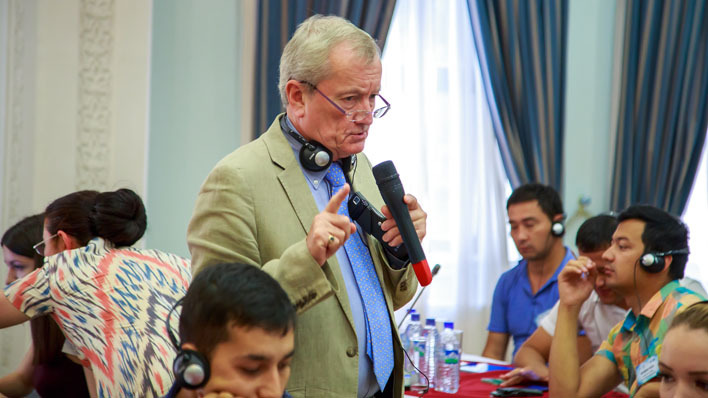 Within the framework of the project “Promoting Media and Information Literacy (MIL) and building media capacity in qualitative non-news programming in Uzbekistan," funded by the UK government, UNESCO office in Tashkent in cooperation with the national partners – the National Association of Electronic Mass Media, National TV and Radio Company and Training Centre for Journalists – organized a training on non-news programming for journalists on 14-16 June 2017 in Tashkent. The purpose of this training is t is to improve quality of non-news programming and introduce new formats of non-news programs to local TV channels, such as discussion programs, tet-a-tet etc., that engages audiences on topical issues in a balanced, impartial, non-stereotyped and informed way. The training conducted by the international expert from BBC, Mr. John Bell. 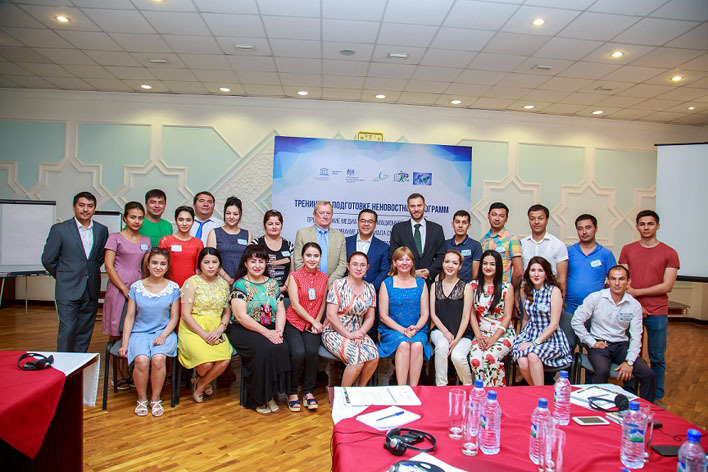 The training attended by 30 journalists from local government and non-government TV channels. This is the first round of the training sessions under the project: other two sessions are scheduled for August and November 2017.